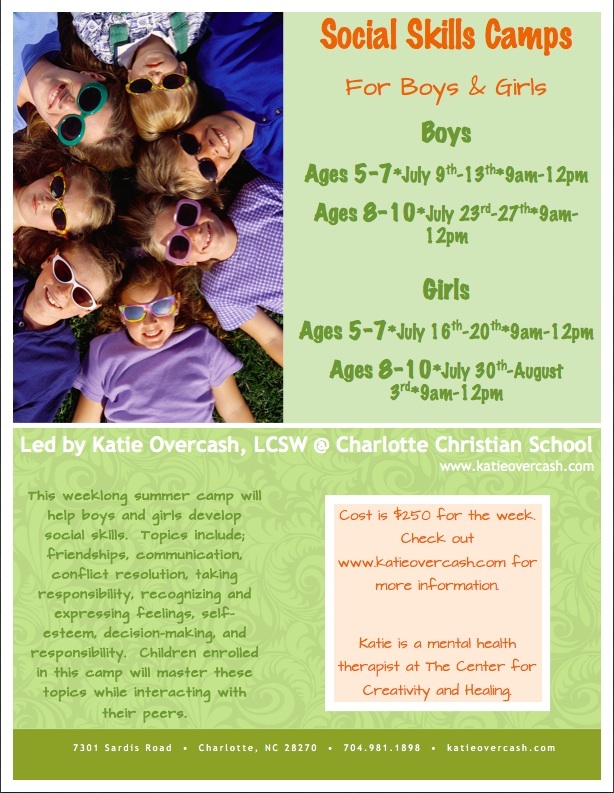 I am pleased to announce that I will be conducting Social Skills Summer Camps at Charlotte Christian School this Summer. This weeklong summer camp will help boys and girls develop social skills. Children enrolled in this camp will master these topics while interacting with their peers. This entry was posted in Uncategorized and tagged Camp, Charlotte Christian School, Charlotte North Carolina, making friends, recognizing emotions, self-esttem, Social skills, Summer camp on July 23, 2012 by katieovercash.